Today’s challenge could have been a bit of a weep-fest, being “A Song That Makes You Sad”. 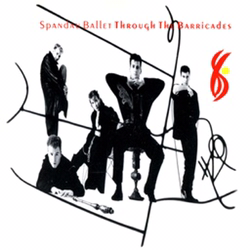 Through the Barricades is a wonderful song, apparently written about the Northern Ireland troubles but still could be so applicable today, love found “through the barricades”. I learned it off by heart but now that’s torn in two.. I always feel so many emotions listening to this: sad that religion or what people believe about their God can divide people, uplifted at the lyrics, and marvel at how many instruments Steve Norman can play. Have a peek at the video here.